Just read Swamys News for current period and it has confirmed that the Dearness Allowance (DA) rates from the period starting from 1st July, 2013 will be 10 %. Though I have been following the All India Consumer Price Index Number (AICPIN) from the month of April 2013 and knew that the DA could be around 10 to 11 % but I had deferred writing about it till 1st week of July 2013. But with the publication of latest Swamys News numbers it is all but sure to assume 10% rise in the existing DA. This means that the Dearness Allowance of all Central Government employees will go up from 80 % to 90 %. I am yet not sure that it will be 10 % because the AICPIN for June will come out only in 4th week of July and I expect a substantial increase in the prices due to the rise in oil prices and the raising of PNG/CNG and other gas prices by Government. If my theory is correct then the rise of DA should be around 11% but to be on the safer side 10 % is a confirmed figure. 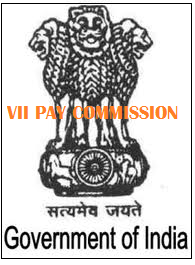 This means that Government servants may have a very good Ganapati Festival and if Government is in a Poll mode the they may further be surprised by increase in the maximum limit of the Bonus ceiling for 2012-13 payable in October 2013 from existing 3500.00 to something in the region of 4500.00. The big if is for the Government mode of action in regard to the General Elections 2013.